Bodywise are experienced, professional trainers who are committed to helping you achieve your fitness goals with programmes that are safe, challenging, fun and, most importantly, specifically designed for you to meet your own needs and lifestyle.We can come to you at home, or you can train at a private studio or a fitness centre, or outside, the choice is yours. Gayle has been personal training for more than 19 years. Her passion is triathlon, she is a 5 time Ironman finisher, four times in NZ & in 2005 competed in the Ironman World Champs in Hawaii. In 2007 she won the Brisbane Marathon. Gayle has 2 children and understands that health & exercise plays an important role in family life and the affect it has on everyone. 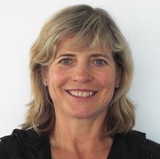 Gayle is an AIT Certified Personal Trainer and holds a Bachelor of Physical Education Degree. She is a Tri NZ Certified Level 1 Coach. She has a private studio and covers the St Heliers, Kohimarama & Glendowie area. She also runs Boot camps and running drill sessions. Jenny is based at the Remuera Rackets Club where she also runs a successful Pilates studio, Bodywise Pilates. Jenny is a Network and AIT certified Personal Trainer, and she is a certified Pilates Instructor with Stott Pilates and Pilates Institute UK. She also has a Bachelor of Business Study specialising in sport management and coaching. Copyright Bodywise Personal Fitness Trainers LTD. All Right Reserved.